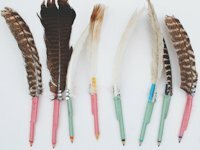 Aren’t the painted feathers nice? 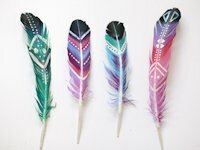 These here are fake feathers. 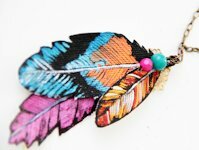 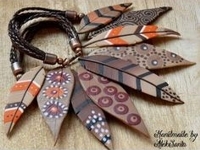 Somehow I present feathers from all kinds of material time and again, this is my first polymer clay feather.